Meet Jim Schenk from Enright Ecovillage and enjoy his presentation about the journey and workings of an urban ecovillage in Cincinnati, Ohio in the USA. Enright Ridge Urban Ecovillage seeks to be an ecologically responsible community, sharing ideas, resources and a reverence for Earth. Enright Ridge Urban Ecovillage (ERUEV) is a community of people fostering a sustainable urban neighborhood that promotes social and economic well-being while contributing to the preservation of our planet. We are located in Price Hill, near downtown Cincinnati, Ohio; building a new way of life on the foundations of this beautiful historic area (affordable homes, the acres of forest that surround the ridge and a traditionally strong sense of community) to create a healthier, more sustainable neighborhood. Treat yourself and stay overnight with us in Bellbunya's comfortable twin-share accommodation. $45 single $60 twin, dinner, breakfast, morning tea $15 pp. After-the-event report: A community breakfast for neighbours and local friends. The rain stopped for the morning and we all had a sit-down breakfast and lots of chat in the dining room, followed by a walk-around of the property. A perfect opportunity to learn from this crew of deeply experienced permaculture teachers. These three days provide an overview of Permaculture, its beginnings and journey. Participants will be introduced to the laws of ecology, permaculture design principles, zones and sectors, as well as an understanding of patterns and their application, the process of design and sustainable housing. This course is prerequisite for the 10-day intensive Permaculture Design Certificate (PDC) course to be held following on at Bellbunya, in two blocks over 10 days(details below). Cost: $270 for 3 days, or $100/day. (This payment is included as part of the total price of the PDC in February). Includes delicious vegetarian lunch and morning and afternoon teas each day . Good value accommodation and other meals available. Please enquire. 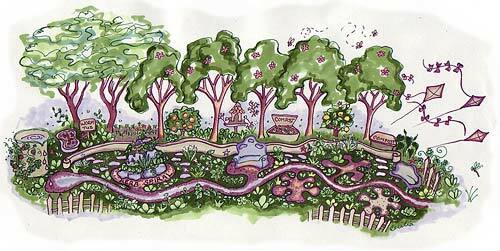 With 5 experienced Permaculture trainers from Northy Street City Farm and a great teacher/student ratio, this Permaculture Design Certificate (PDC) is ideal for people interested in exploring sustainability, farm planning or living on the land. Thirteen days of both theory and experiential learning, building on the foundation of the introductory weekend (see above). You will gain a thorough understanding of permaculture principles and practice, beginning with a tour of local permaculture properties in various stages of development. Five permaculture trainers with many decades of combined experience, means lots of valuable one-on-one time and a course that you will remember for a lifetime. Bellbunya as a location offers great scope for seeing ideas being put to practical use,and what's more it has great facilities for running this course! Farm Ready Funding Available for Farm Managers: This course has been approved for FarmReady funding. This means that if you are a farm manager you may be eligible for a subsidy of 65% of course costs plus $500 towards food and accommodation. Details on their web-site: http://www.farmready.gov.au/. Cost: $2300 total including Introduction to Permaculture weekend (above). Fully catered, primarilly organic, delicious vegetarian food is $520 for the full course, or $300 for day-time meals of lunch and morning and afternoon teas. Accommodation to suit all budgets is available, please enquire. Partial scholarships: A small number of scholarships are available, if you'd love to do the course but can't afford the full fees, please talk to us about the possibility of a partial scholarship, LETS and exchanges. Accommodation, Saturday dinner/Sunday breakfast available at Bellbunya at affordable rates. Please contact Bellbunya directly. A weekend retreat for ♥ Couples ♥ Lovers ♥ Friends ♥ Co-workers ♥ Family Members ♥ Anyone who seeks to dive deeper into creating and strengthening the foundations for a loving, enduring, joyous relationship. Ideal if you're embarking on a new relationship or connection and also for for a long term relationship that needs revitalising. fullness and richness of LOVE, hand in hand with beloved in us all. Mark Healy is a self-confessed 'pure joy advocate'. Mark is a breath therapist, lover of deep connection, facilitator and organiser of men's work, creator of labyrinths and sacred journeys, gardener, designer and installation artist. Mark is passionate about connecting people with nature through the love of gardening with shapes and symbols and walking the sacred path called life. He is the father of 7 children and a few extras and is committed to divine union with Robin and himself. NOTE: It is important to come with your partner or someone you are prepared to share and dive deeply with. We will be immersed from 5 pm Friday till 5 pm Sunday in a nurturing, honouring, gentle, luscious, creative and sacred environment. Cost: $480 (waged) or $380 (concession). Includes twin rooms with beds pushed together if desired (only 2 double beds available) plus delicious nutritious vegetarian food and a Saturday evening feast. Please bring yummy healthy treats to share. ° have a fear of being abandoned? ° have a strong need to be confirmed by others? ° feel obliged to help others ( neglecting your own needs in the process)? ° have difficulty making decisions? ° are afraid of change or of exploring new things? ° are afraid of other people’s anger? ° feel a strong need to be in control of everything? ° think in terms of “all or nothing”? ° find it difficult to have spontaneous fun? Then this workshop is exactly right for you! Here you learn strategies for developing an “intelligent heart”, in order to be able to deal with such difficulties in an adequate way! This can be serious business at times, and quite a lot of fun at other times – whatever is right for you at that time! You will get in touch with your “Inner Child”, who may have been waiting for you already for a very long time! Some problems are easier to transform in a group – particularly when you notice that we’re all sitting in the same boat! 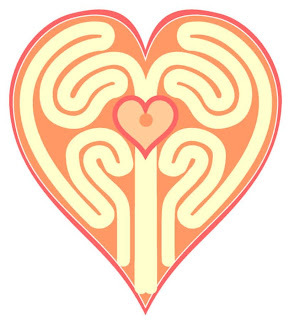 For a better understanding of these psychodynamic processes it is useful to read Chapter 1 ( http://www.global-develop.com/intel2.3.html ) on the Intelligent Heart Model. You can go by the headlines and read only the sections that interest you particularly. Meals and Accommodation: Bring a plate to share for lunch both days. Spend a weekend at Bellbunya Community and immerse yourself in learning about growing your own food the permaculture way. You'll be introduced to the basics of permaculture theory, see permaculture in practice and can ask all your questions of experienced permaculturists Bunya and Tim. Bunya Halasz has 15 years experience as a Permaculture Designer, Market Gardener and Landscaper. He has worked as an Environmental Educator since the completion of his Bachelor of Environmental Science degree in 2004 – including 5 years as a tutor and course convenor in a range of Permaculture Design Courses and Accredited Permaculture Training Programmes at Northey Street City Farm in Brisbane. Along with colleagues, Bunya has developed the Yoga/Permaculture/Art Retreat Series “Growing Roots” (see next weekend at Bellbunya). Tim Lang is a consultant offering Permaculture design, implementation and education services. After several years working as a horticulturist in the nursery and landscape industry Tim got involved in Permaculture in the early 1990s. He has experience in natural area management, farm forestry, organic gardening and community development. Tim has learned his Permaculture skills and applied his knowledge in various climatic zones in many rural and urban contexts both in Australia and abroad and is an Accredited Permaculture Trainer. Come to Bellbunya for a nourishing weekend of Interconnectedness. In this Autumn retreat we will focus on Cool Season Vegetable Gardening, getting our hands dirty building a no-dig garden, explore edible weeds in the landscape and incorporate them in a sub-tropical cooking workshop. We'll use coconut leaf to make garden hats and Cats Claw to make baskets. The Facilitators - Growing Roots is co-created by a team of trained Oki-Do Yoga Instructors and Shiatsu Practitioners who have a diverse range of professional backgrounds. Bunya Halasz works as an ecologist and Permaculture Practitioner. Will Bulmer is an Intern Psycologist and Deep Ecology Facilitator. Anaheke Metua facilitates Weaving and Environmental Art Projects. We are honoured on this weekend to have the guidance of Gavin and Kaori Leeman from the Bellbunya Community. Their interest and expertise lies in Yoga and Aikido movements. therapeutic yoga, macrobiotics, herbal medicine and aromatherapy. Both Kaori and Gavin have studied and practiced in both Australia and Japan. A hands-on weekend workshop to show you how to build your own cob (earth) oven from go to whoa. You'll take away comprehensive (supplied) notes and a wealth of knowledge gained from having done it yourself with skilled guidance from a highly experienced practitioner. Linda McKee has been building with Cob for almost 20 years , having been taught by Ianto Evans from Oregon's Cob Cottage Company. Through workshops, she has have constructed around 70 cob ovens at many Community garden sites & private homes around SE Qld & Northern NSW. For the past 18 years she has taught Permaculture at various Community gardens in Brisbane, and for 5 years, managed Edible Landscapes Permaculture Nursery at Northey Street City Farm. Peggy Bollmann is an Ayurvedic Practitioner and experienced cook and sourdough bread maker. Early on in her training as a health practitioner, Peggy was introduced to the old saying: "with healthy food, medicine is of no need, without healthy food, medicine is of no use". This has naturally led her to combine health education and food eduction, aiming to both inspire people about healthy eating as well as teaching them hands-on kitchen skills required to produce yummy meals while leading busy lives. Cost: $135 includes tuition, sourdough starter, lunch and snacks. Affordable and comfortable twin share accommodation is available if you would like to incorporate this workshop in a weekend away. Relax, gain flexibility, strengthen your core, energise and centre yourself at the start of your day. Let our qualified yoga instructors, Gavin and Kaori, guide you towards greater balance and strength in body, mind and spirit. Classes are suitable for all ages and skill levels. Join our qualified and experienced Vinyasa Flow teacher, Bec, as she leads you and invigorating and energising Yoga practice. Practising Sun Salutations, Warrior poses, and working slowly towards more advanced postures and inversions, these classes are suitable for people of all ages, yoga experience and fitness.Held at our beautiful property in the Sunshine Coast hinterland, we are only ten minutes from Eumundi and thirty minutes from Noosa. No need to book, just show up! Bellbunya also welcomes yoga teachers looking for a tranquil venue from which to run Teacher Trainings and retreats. We offer a range of comfortable accommodation and full organic catering is available on request. The Green Journey Events Calendar lists loads of workshops and events happening around the Sunshine Coast and SE Queensland for those interested in sustainability, the environment, permaculture and healthy living. There are plenty of free workshops listed, with lots of fantastic learning opportunities. Why not stay at Bellbunya while you are up and extend your learning and sharing in an informal, friendly way? Yandina Community Garden Yandinacommunitygardens.com.au has regular and FREE Saturday morning workshops on subjects ranging from using tropical vegetables, to worms, to basket weaving to biochar. Check out the Yandina Farmers Market first and wander over for the 9.30 start (but come earlier for a seat). Well worth attending! Workshops are listed in the Green Journey Events Calendar. Permaculture Noosa www.permaculturenoosa.com.au hold meetings every third Thursday of the month at the Memorial Hall, Maple St, Cooroy (next to the RSL) from 7.00pm. It starts with a Marketplace selling members' produce and products, speakers begin around 7.30 with supper (for a gold coin donation) at 9.00pm. It is a free meeting, open to the public. For further info phone Judith, Ph 5471 1892. Transition Town Nambour (www.theautomaticearth.blogspot.com) have a regular stall at The Big Pineapple, Woombye, on Saturdays. They are also presenting big picture person NICOLE FOSS on Thurs 9th Feb, 5.30 pm. Ph 5442 2118 or 0438 562 118 for more information. Crystal Waters Eco Village (http://crystalwaters.org.au/) is set in 650 acres of bushland at the headwaters of the Mary River, only 26kms from Maleny. The privately owned village includes residential and cooperatively owned commercial properties designed along Permaculture principles, and is home to a wide variety of local flora and fauna. The Crystal Waters Community Cooperative is the social and economic arm of the village management and provides facilities for visitors to participate in and experience the village life.